The Emergency Response Guide is intended for use by the University of Texas at San Antonio faculty, staff, students and guests. 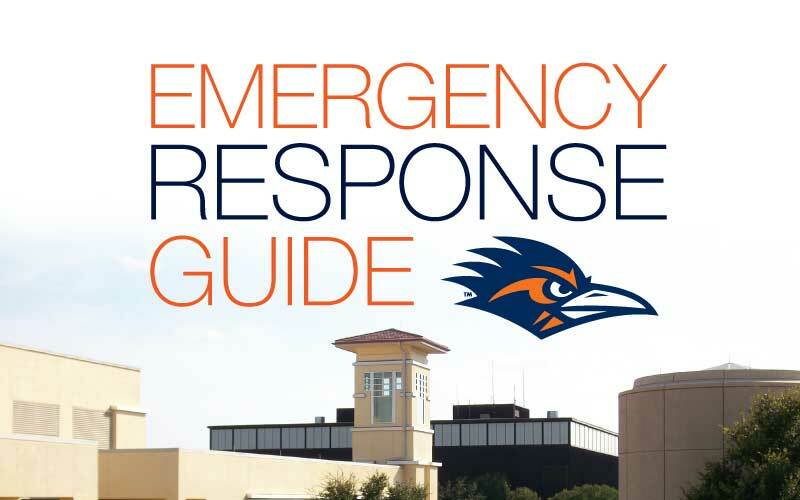 This guide was commissioned by the UTSA Police Department in coordination with several other departments and is designed to provide a quick reference during emergencies. 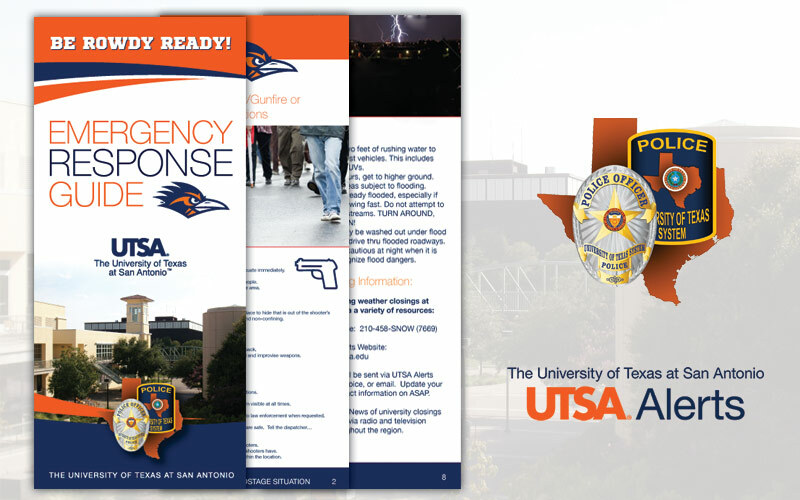 The UTSA Police Department, in conjunction with the UTSA Office of Emergency Management, asked us to develop an updated guide with a new design, layout and feel. We created a 15-page guide with a staggered-tabbed layout which was both easy to use and easy to display. The outside cover was full height of the overall guide so that it was rigid enough to stand in the brochure holder and not fall over, as was an issue with previous guides. We also changed from a spiral bound to saddle stitch to both save costs for the client and to be lighter.